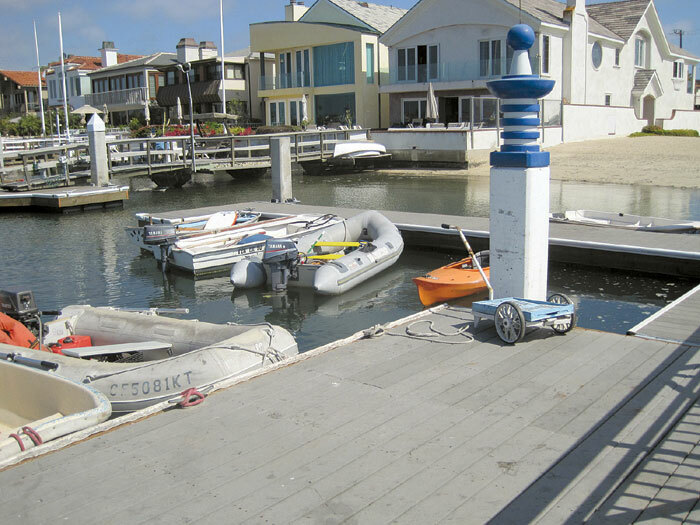 Are Additional Docks in Newport Harbor’s Future? NEWPORT BEACH — A few more public piers may be on the horizon for Newport Harbor, as a Newport Beach Harbor Commission subcommittee is focusing on how to make the city’s 12 piers more attractive to visitors and users of the bay. A few of those suggestions include constructing additional piers in close proximity to the harbor’s most sought-after amenities. Led by harbor commissioners Paul Blank and David Girling, the subcommittee on June 12 presented recommendations to fellow commissioners on how the city can make harbor piers and docks more welcoming to visiting boaters. In their research, Blank and Girling examined what boaters take into account when deciding what harbor to visit on day cruises. Pier and dock placement near highly sought amenities — such as restaurants, bars, marine hardware stores and other shoreside services — were factors in whether or not boat owners would visit a harbor. The result of their research was two lists of recommendations: the construction of additional piers and ways to facilitate visitor access. “Just last night, the city council adopted the new city budget — and in there are some funds for public piers,” said Newport Beach Harbor Resources manager Chris Miller. “I think this summer we should figure out what the quick fixes are — and the long-term fixes we can start planning for — and go down that road. “I see a lot of possibilities,” he added. The new budget is effective July 1. Additional piers are recommended to be constructed at Lido Marina Village, Balboa Marina, Lower Castaways, the northwest base of the Lido Isle Bridge and the east end of Balboa Bay Resort, with pedestrian access to Coast Highway. While several of the public piers are ideally located near these facilities — such as the pier at the Fun Zone, Fernando and 15th Street piers, the Coral Street pier, the Rhine Wharf dock and the pier at 19th Street — additional piers should be added, the subcommittee said. “To me, the Lido piers proposed have the most bang for the buck,” Girling said. “It is so natural to have a new pier there.” Outgoing harbor commissioner Ralph Rodheim suggested the subcommittee look at ways to increase public access to the pier at the Fun Zone. Harbor commissioners Girling and Karen Rhyne also suggested the commission look at ways to educate boaters and anglers who use the public piers. Girling explained that boaters may be intimidated by anglers when pulling up to a pier, especially when there are lines in the water. The piers will complement others in the harbor by providing access to five categories of amenities that boaters most desire when they come ashore. Listed, in order of priority, they are: restaurants; bars and entertainment, including theaters; provisions and supplies, including groceries and marine hardware; shoreside services, including laundry/dry cleaning and aesthetics (massage, spa, hair and nails); access to alternative recreation, such as hiking, biking, kayaking and stand-up paddleboarding; and access to public restrooms and other public facilities, including libraries. In order to make the piers more attractive and more accessible to boaters who want to visit harbor area businesses, the subcommittee recommends reconstructing or reconfiguring docks to better protect pilings from boats, launching a community “adopt-a-dock” program, adding a equivalent position to that of a “park ranger,” and performing weekly cleaning and maintenance at all existing public piers. The proposed dock “park ranger” would enforce rules at the public piers, a duty that is currently being performed by Orange County Sheriff’s Harbor Patrol officers. Blank commented that “it is really an opportunity to make use of that park ranger function,” and should be in place during the busiest times. Several commissioners supported the proposed “adopt-a-dock” program that would get the community, local businesses, residents and organizations to become involved in the upkeep of designated public docks. The subcommittee also recommended adding or improving public restrooms, freshwater hookups and marine recycling facilities. Blank and Girling arrived at their recommendations after using the harbor’s 12 piers and docks, and talking to boaters, those familiar with the harbor and commercial organizations, as well as boaters in who have opted to visit other harbors and bypass Newport Beach. Additionally, Harbor Resources supervisor Shannon Levin provided an update on moorings, as requested by the Harbor Commission. Levin informed commissioners of a 45-foot mooring that has become available. The Orange County Sheriff’s Harbor Patrol is currently contacting boaters on the moorings waiting list. Harbor Commission members were advised that those on the waiting list have the option of passing on a mooring that has become available and can still maintain their place on the list. Mooring holders also have the option of reducing their mooring size or increasing the size. The county applied for funding from the Vessel Turn-in Program and Abandoned Watercraft Abatement fund to help dispose of derelict vessels. Applicants will be notified if they have been awarded funding by next month.